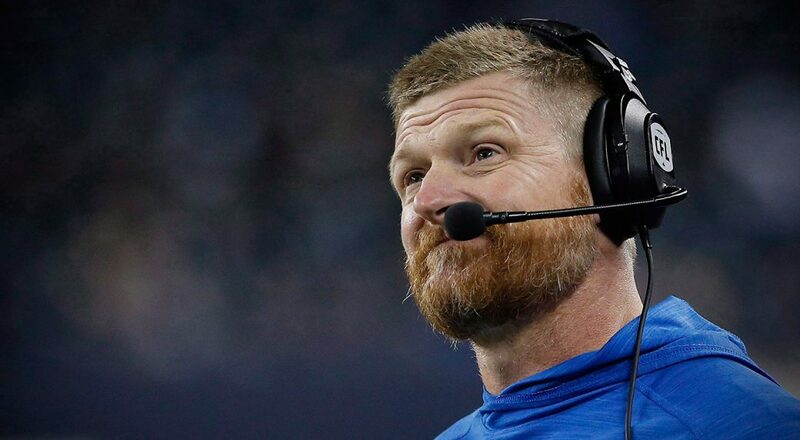 I’ve long held that Mike O’Shea wouldn’t recognize quality quarterbacking if Doug Flutie, Warren Moon, Dieter Brock and Kenny Ploen were playing four-corner catch on his front lawn. Ya, that’s cheeky and irreverent, but it makes a point. 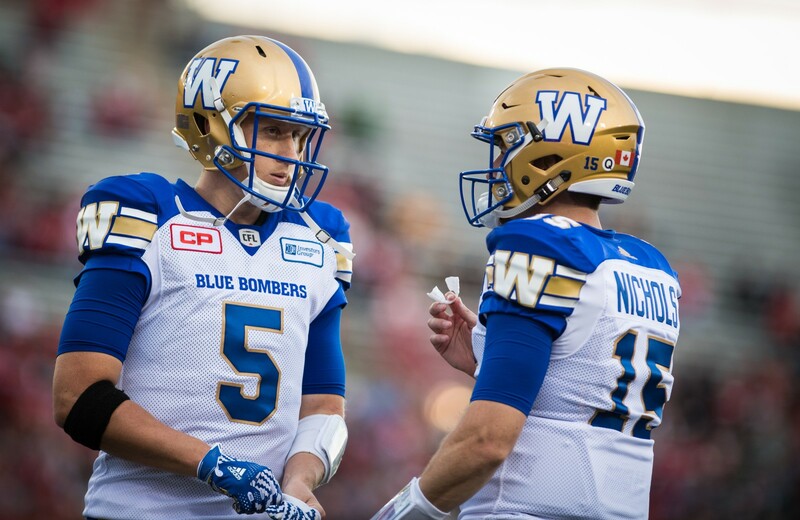 I mean, consider the abrupt sound bite the Winnipeg Blue Bombers head coach delivered on Labor Day Sabbath when asked by a news snoop to grade the underwhelming work of Matt Nichols, the man tasked with the duty of pushing the appropriate buttons for an offence that has lost its passing-game mojo. “He’s our starting quarterback, he’s very good,” O’Shea said, scant seconds after Nichols and a truckload of accomplices not named Andrew Harris were found wanting in a 31-23 beatdown by the Saskatchewan Roughriders. If that sounds eerily familiar, it ought to. What O’Shea said about Nichols, you see, is a haunting echo of what he said about Drew Willy and the best-forgotten failures of two years ago. “Drew’s a very good quarterback,” O’Shea told a gathering of jock journos on July 19, 2016, at which time the Willy-led Winnipeg FC stood 1-3 and the head coach was edging ever so close to the unemployment queue. Well, history records that Willy wasn’t “very good” in ’16 (still isn’t), and neither was Nichols on the Mosaic Stadium grid in the Pile O’ Bones Bowl on Sunday in Regina. Contrary to the rose-scented natterings of the head coach, he was meh at best and gawdawful at worst. Just as he’d been in his previous assignment. And the one before that. 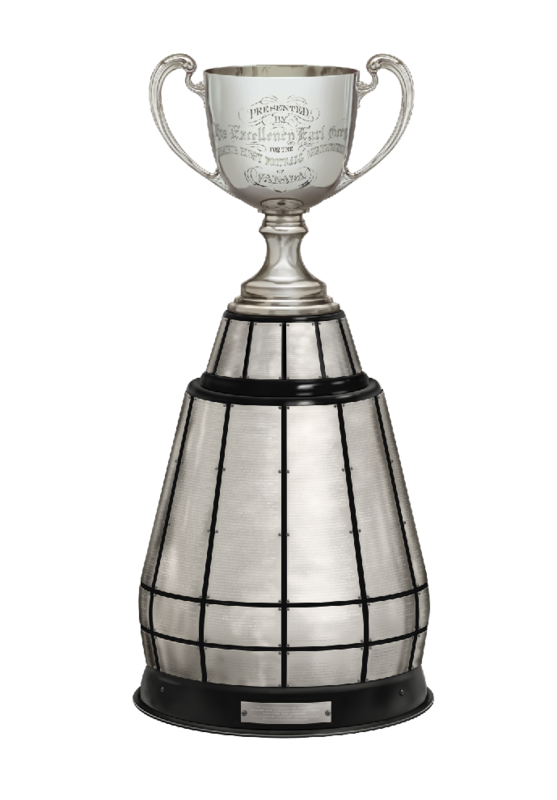 The QB play and assorted other warts have translated into triple Ls that have pushed Winnipeg FC down the Canadian Football League pecking order, so you might be wondering if history is about to repeat itself. That is, how bleak must life become before O’Shea is prepared to pry the football from his starting quarterback and hand it to the understudy, in this case rookie Chris Streveler? One more loss? Two? Or will it require intervention from someone higher up the pay scale, as it surely did two years ago when the head coach reluctantly had Willy and Nichols swap scripts? It’s mystifying that O’Shea cannot twig to the notion that there’s something off with Nichols. It’s certainly just as head-scratching as his failure to acknowledge all those one-hop passes Willy was tossing in 2016. In Nichols’ case, his receding effectiveness might be residue from the physical owie that had him in the repair shop for the first three skirmishes of this crusade, or it might be a mental thing stemming from the over-under-sideways-down battering he’s taken from the fickle faithful in recent weeks. If it’s the latter, heaven help him, because when the large lads in blue-and-gold trim assemble next Saturday to have another go at the Green-and-White, the rabble will arrive at Football Follies Field in Fort Garry with flaming torches in hand and leather in their lungs. The slightest stumble and Nichols will hear more squawking than a gathering of NRA members at the hint of more restrictive gun laws. Fine. Then use them both. Would I start Nichols next Saturday vs. the Roughriders? Absolutely. Would I insert Streveler behind centre if the offence is in quick sand? 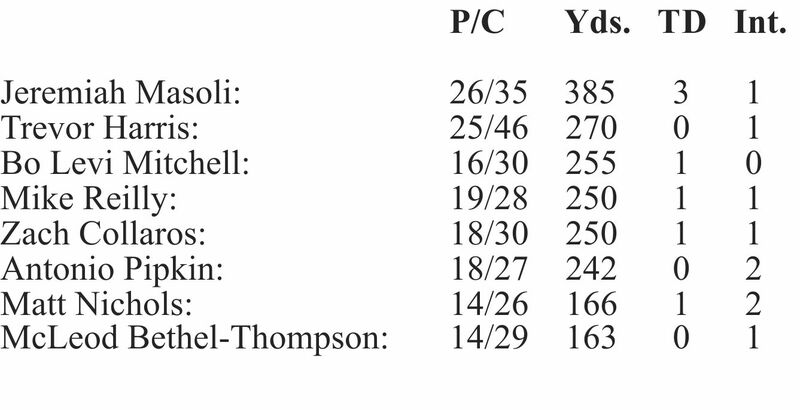 Faster than you can say Dieter Brock replaced Chuck Ealey (look it up, kids). For all the hand wringing and teeth gnashing in River City, Winnipeg FC (5-6) remains just two points removed from second place and a West Division playoff date at the sometimes not-so-friendly confines of Football Follies Field. So the sky hasn’t fallen yet. All the more reason for O’Shea to give his head a shake before someone puts a toe tag on the season. Congratulations to TSN gab guys Chris Cuthbert and Glen Suitor for their Labor Day work during the Calgary Stampeders-Edmonton Eskimos skirmish—unless I missed it, not once did they mention Johnny Manziel. I swear on a stack of 1960s Post cereal football cards that it’s the first match I’ve watched this season during which the name Johnny Rotten has not been uttered. It only took them three months to let it go. 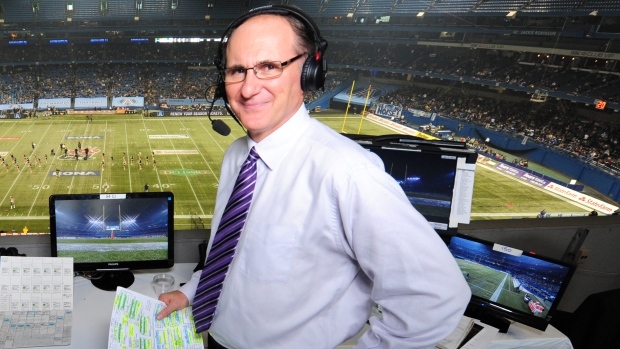 Another TSN gum-flapper, Rod Black, described the Toronto Argonauts-Hamilton Tiger-Cats joust Monday as a “heavyweight tilt.” No, no, no. It was a terrific game, but in no one’s universe are two teams that begin the day sub-.500 to be confused for heavyweights. The heavyweights had already duked it out at McMahon Stadium in Calgary. So when did Brandon Banks become such a complete receiver? Seriously, pint-sized Speedy B isn’t just cutting holes in the wind and catching passes for the Tabbies anymore. He’s blocking. And grinding for extra yards. It’s a good look. 1. Calgary (9-1): Stamps usually find a way to win. 2. Saskatchewan (6-4): Three straight Ws. 3. Edmonton (6-5): Mistakes, mistakes, stupid mistakes. 4. Hamilton (5-5): Good times rolling again. 5. Ottawa (6-4): They lost at home to Montreal! 6. Winnipeg (5-6): What’s up with Matt Nichols? 8. Montreal (3-8): Wicked defence vs. Ottawa. 9. Toronto (3-7): QB woes.